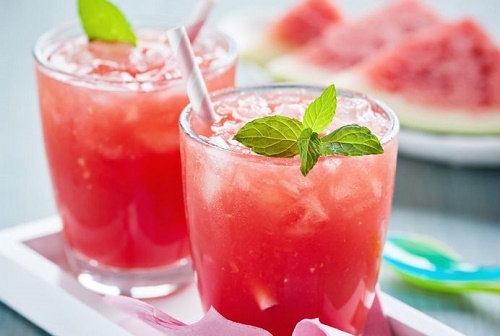 You’ll need chilled seedless watermelon, limeade concentrate, fresh lime juice, ice and vodka. Throw these ingredients in a blender and purée until you have a smooth mixture. You may need to add water. Pour into tall glasses, mix in a touch of vodka and serve. Watermelon doesn’t keep well at all once it’s turned into pulp. You need to make sure to serve this drink no more than a couple of minutes after you make it.